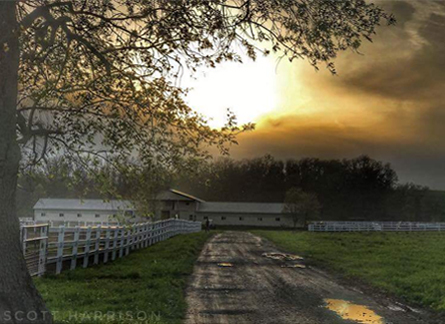 Located in Wallkill, New York, we are dedicated to providing the very best care for all of the animals on our farm. We offer a welcoming environment where you can come and visit anytime. We've been here for 10 years and have more than 40 years of experience working with all kinds of animals. The Meat Shack at Clover Hill Farm is our on-site shop where you can find delicious, farm-fresh meat. All cattle, sheep, and goats are raised humanely, enjoy a healthy life, are cared for on-site, and are treated with love and care. When it comes time to slaughter them, they are taken to certified humane facilities. All meat is USDA inspected and our goal is to provide our customers with affordable, farm-fresh meat in Wallkill, New York, and the surrounding areas. Clover Hill Farm of Wallkill, New York, is home to horses, cattle, goats, lamb, and a qualified, compassionate staff of animal lovers. Here, you'll have access to comfortable, roomy stall for horse boarding, an on-site meat shop, and much more. All riding disciplines are welcomed at our farm, and you're sure to love the quality care all of our animals enjoy, along with a unique sense of peace on the farm. Our livestock lives full, healthy, and happy lives where they are raised and processed humanely, and you'll always know exactly where the meat you buy came from and how it was handled. You'll find a lot to love about Clover Hill Farm, and we look forward to sharing all we have built over the past 10 years. Whether you're looking to board a horse or find the freshest local meat, Clover Hill Farm has you covered.